Each year, MLK Day is observed as a "day on, not a day off". That means we will be here at school learning about his contributions. We also have a few groups who will be out serving our community in various ways. 1. Football will be going to Kingsland to help clean up areas that were effected by the floods. 2. Our National Art Honor Society students (NAHS) will spend the morning at the local Burnet VFW where they will be interacting with members and interviewing them for a Widsom Project. They will be using the information gathered to create drawings for a later Patriotic competition. They will then head to the Hill Country Humane Society where they will do clean-up of facilities and help take care of animals. 3. Culinary students will set up our new Haute Dog cart in front of the Administration building. 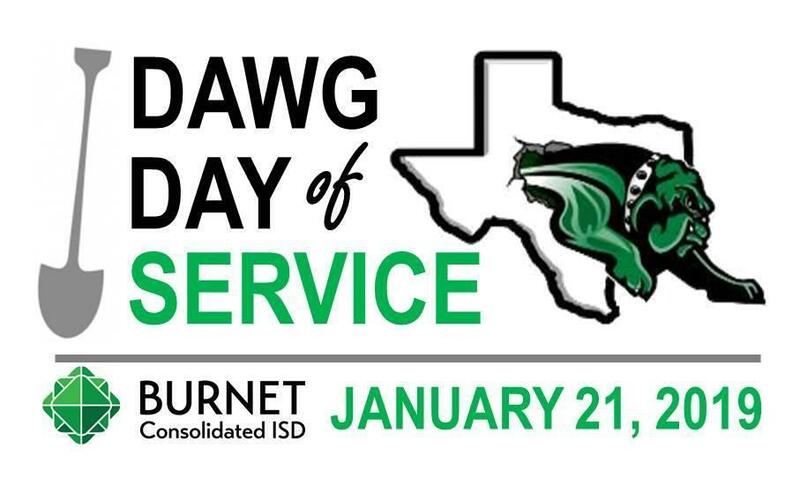 They will serve hotdogs to all Burnet area First Responders. We are very excited to be able to serve those who serve us on a daily basis! 4. Interact and BETC students will head over to the Boys and Girls Club to do some general clean-up of the area. They will also do a little painting and touch up of the indoor area. 5. FCCLA students will divide and conquer. One group will go to Little Texans to do a little indoor/outdoor clean-up of the area. Another group will head to Pafford Place Assisted Living Facility where they will interact with the residents and participate in a number of activities, such as playing games, dancing, reading, doing nails, etc. 6. Guitar Club students will go to the Burnet Nursing Home in the afternoon where they will perform for and interact with the residents.